Dog bites are extremely dangerous and can even lead to fatal accidents. A couple of years ago, if you were the victim of a dog bite injury in Maryland, you had just a few legal options. Nowadays, the laws of Maryland have finally recognized the dangers aggressive dogs pose to people and especially children. According to studies, children are the ones who fall prey to aggressive dogs most often. The same studies show that pit bulls are among the most dangerous dogs if they are not trained properly. In the last 10 years, among the dog bite cases in the USA, pit bulls are responsible for killing 203 Americans, and they account for 62% of the total animal-related injuries. 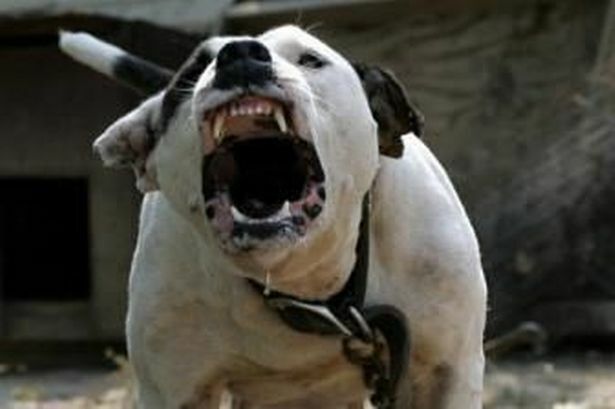 In 2010, an 8-year old girl in Dekalb County was attacked by her neighbor’s dogs who were left unleashed by the owners. She was gravely injured by the two pit bulls and barely escaped alive. She had to have part of her left arm amputated, lost partial use of her right arm and sustained serious injuries to both ankles. The jury agreed with the girl’s parents that the owners failed to control and secure their dangerous dogs and awarded the family $37 million in actual and punitive damages. Another brutal pit bull attack happened in Washington in 2013. An elderly lady was talking a walk in her neighborhood when she was attacked by two of her neighbor’s pit bulls. She sustained grave injuries and was hospitalized. Unfortunately, because of her advanced age and grave injuries, she suffered a heart attack at the hospital and died. The jury ruled for the lady, resulting in a $1.12 million dollar verdict against the owner. An elderly woman in Hamburg, NY, suffered a severe wrist fracture after her neighbor’s dog attacked her. However, she chose to sue the municipality and won $150,000 compensation for her injuries. The reason for this verdict was that, in the past, the lady and another neighbor had filed no less than 8 complaints about the same dog. However, nothing happened, and the town wardens assured her of her safety. After she had got attacked, she sued the municipality for negligence in failing to protect her and won the lawsuit. Dog bites and attacks are extremely dangerous. If you or a loved ones have been the victims of dog aggression, you should contact a personal injury lawyer from Maryland. Only with the help of an Annapolis injury attorney you can bring the negligent owner to justice and receive the compensation you deserve. Contact the best Annapolis injury lawyer at (443) 569-3950 or by email at [email protected]. We offer you a free consultation of your case and valuable advice on how to bring the culprit to justice.